It's hard to believe that 10 years has passed and we are now celebrating our monumental success. 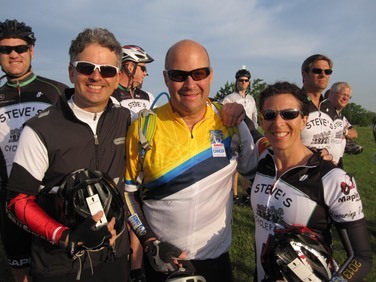 What started out as a bunch of friends doing a charity bike ride to raise money for our friends with cancer has turned into a legacy with hundreds of people joining us and collectively raising over 7.5 Million for Princess Margaret Hospital Cancer Research. 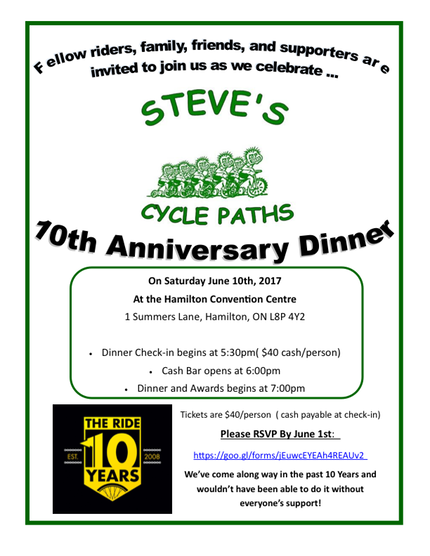 On Saturday June 10th we are going to be celebrating this occasion and along with our current riders, our alumni, volunteers, and especially our supporters, I would love for you to join us. Attached is the official invite and RSVP link.